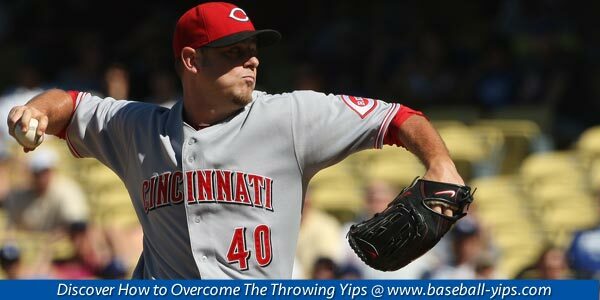 One of the most common issues faced by major league baseball players is the yips. The yips is a condition in which talented athletes fail to perform to the best of their abilities under pressure. Although this issue can be extremely frustrating for athletes, it does not have to be career ending. With the right mental training, athletes can overcome this condition and save their careers. One such comeback can be seen in the case of Rick Ankiel. In his first complete season, Ankiel finished the regular season with a solid 3.50 ERA and an 11-7 record. In the first game of that year’s NLDS, he threw a shutout for two innings. In the third inning, however, things started going downhill. He allowed four runs, four walks, and threw five wild pitches. After this, the yips began to ruin his career. He was eventually dropped to Triple A after suffering an injury. In 2007, however, he was brought up to play for the Cardinals. Between 2007 and 2013, Ankiel enjoyed a successful comeback career as an outfielder, finishing with a career .240 batting average and 76 home runs. Another player with a similar comeback story was Jarrod Saltalamacchia. Saltalamacchia began his career as one of the top catching prospects in the league. After a few years in the major leagues, however, he could not even get the ball back to the pitcher. After being demoted to the Triple A, Saltalamacchia sought the help of a sports psychologist. With the proper training and techniques, Saltalamacchia was able to reclaim his career and return to success in the MLB. One of the most famous example of post-yips comebacks can be found in the career of Steve Sax. Sax began his major league career in 1982, when he was named Rookie of the Year. The following season, however, the second baseman was unable to complete the most routine plays. Sax was able to overcome his issues, however, and went on to enjoy a successful 13-yeard long career, during which he held the highest fielding percentage among second basemen and won two World Series titles. Although the yips may seem like a career ending malady, it is important to remember that they are correctable. With the right mental training, athletes can overcome this issue and go on to enjoy successful careers. 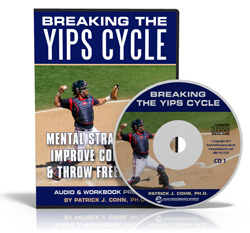 Understand that you are in control of your yips. 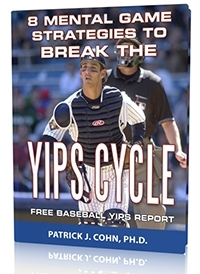 The yips are driven by internal anxiety and once the cause is addressed, the yips are perfectly treatable. Use positive self-talk to visualize success. 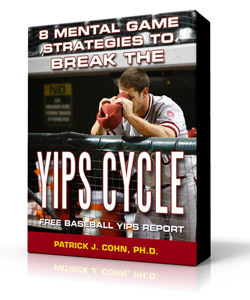 Believing you can overcome the yips is the first step towards doing so.